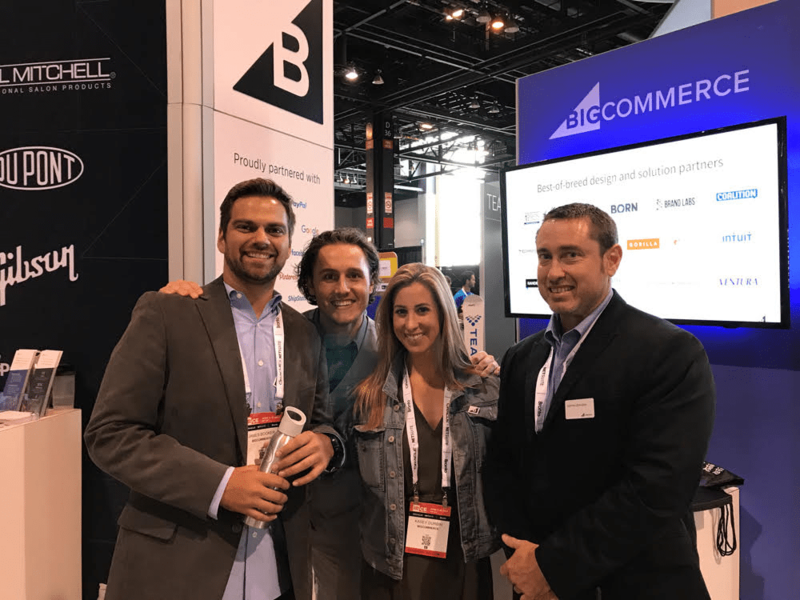 I felt like a kid in the world’s biggest candy store when I walked into the 2017 IRCE ecommerce conference in Chicago this summer. In fact, I no doubt resembled Dr. Suess’ Thing 1, bouncing from booth to booth, trying to take in all that 600-plus ecommerce vendors had on display. When I finally paused at one of many free coffee stations dotting the exhibit hall floor, just one question filled my mind: Why had I not attended before? Before writing about all things ecommerce for FitSmallBusiness, I founded and ran a small ecommerce company for 16 years. While the whole experience was mighty rewarding, I, like most budding entrepreneurs, found it hard to break away from my daily demands. Vacations were scarce, and what time I did carve out was largely spent on product buying trips. I certainly never thought an ecommerce conference was worth the time or expense. I now see that the IRCE and similar ecommerce conferences should have topped my to-do list each year. Had they, I undoubtedly would have saved myself loads of time and trouble Googling various ecommerce business solutions and struggling through online demos over the years. Plus I could have helped my company grow faster and increase efficiencies by seeing firsthand what worked for other sellers. So, if you’re on the fence, here are 5 reasons you should seriously consider attending the IRCE. Fair warning! Once you do, you’re likely to make it an annual pilgrimage. This was my biggest excuse not to attend over the years. At around $1.5M in annual sales, I thought my company fell under the radar for the services I’d find at the IRCE. Imagine my surprise when I finally made it there this summer. I found a huge number of exhibitors offering all sorts of solutions to fit bootstrap startups on up. Small-business friendly ecommerce platforms BigCommerce, Shopify, and plenty others were there with live demos and specialists ready to answer any and all questions. Plus, several great $0-cost startup-friendly platforms like FreeWebStore and WooCommerce were ready to talk shop. 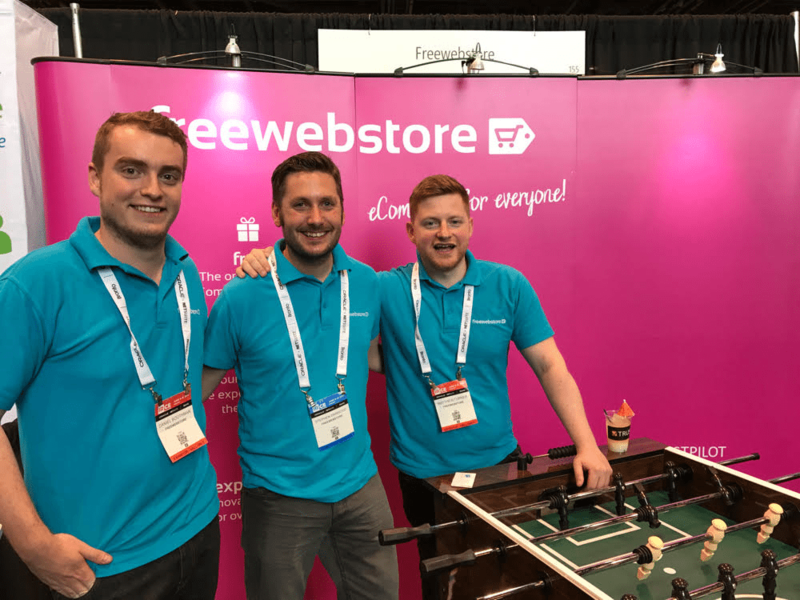 The teams at BigCommerce and FreeWebStore had ready answers for all of my ecommerce questions. Want to learn your fulfillment options? 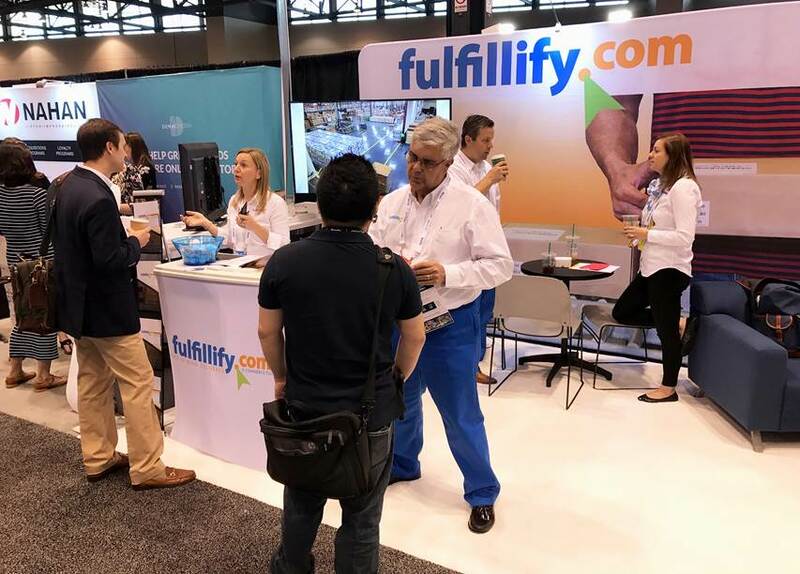 Hit the IRCE to discuss your needs with a variety of fulfillment specialists, like the friendly folks at Fulfillify. Two-day exhibit hall passes start at just $80 per person and allow access to all keynote speaker presentations as well. Believe me, the hall exhibitors and keynote programs easily fill two days at the IRCE. Or, you can take part in a variety of information-packed educational workshops before, during, and after the two main days. These passes start at $399 for a single-day workshop and include full exhibit hall access. If you’re considering attending, remember to buy your tickets early as prices increase closer to the conference date. Here is the 2017 IRCE Pass price list to help you plan for next year. The same goes for your travel, of course. Since it’s in Chicago, flights tend to be cheap, plus you have plenty of hotel choices to meet any budget. There’s another excuse out the window. IRCE takes place in early summer which is Chicago at its best, so plan to take in some sights. 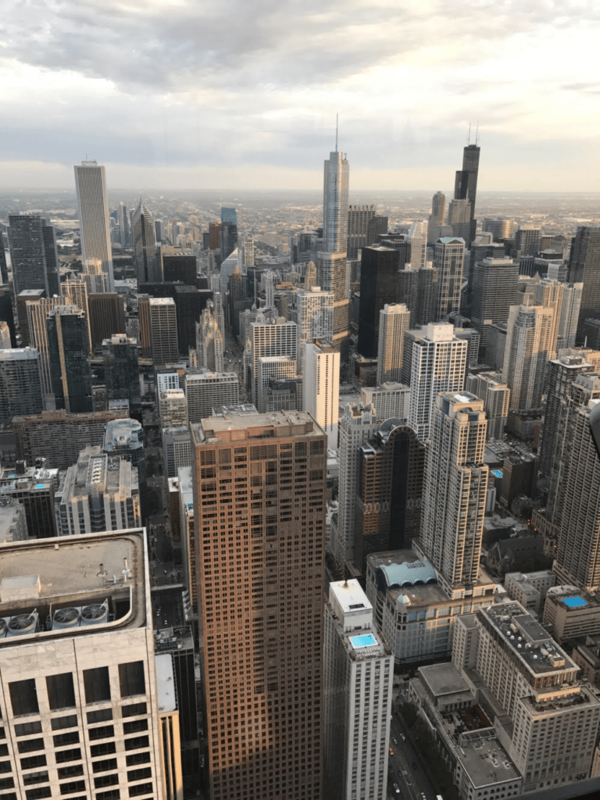 At the very least, stop by the observation deck of the John Hancock building to take in the view above, then stroll down Michigan Ave. to grab a Giordano’s stuffed pizza while downtown. As mentioned above, the IRCE offers several full-day workshops that cover a range of online selling topics. I was happy to find that many are geared toward helping new and growing sellers find success on their own websites and on marketplaces like Amazon and eBay. You can stick to one educational track or attend sessions across several tracks, too. This is a big plus for small sellers looking to attend specific sessions pertaining to their business. After attending sessions covering various topics, I think it’s a great value. You’ll leave armed with many real-world strategies to help take your business to the next level. Workshop costs vary depending on the number of workshop days you wish to attend, but expect to pay between $399 and $1399 for workshop passes if you buy your tickets early. At every turn, I uncovered yet another great solution to help online sellers succeed. If you already sell online, you’ll come away from the IRCE with completely new online merchandising ideas, selling tools, marketing outlets, and operational strategies. If you don’t yet sell online, you’ll find out how to efficiently move your offline business online. And if you’re just kicking the ecommerce tires, you’ll discover ways to break into ecommerce with minimal upfront costs using various online store, dropship, print-on-demand, affiliate marketing, and payment solutions on display. 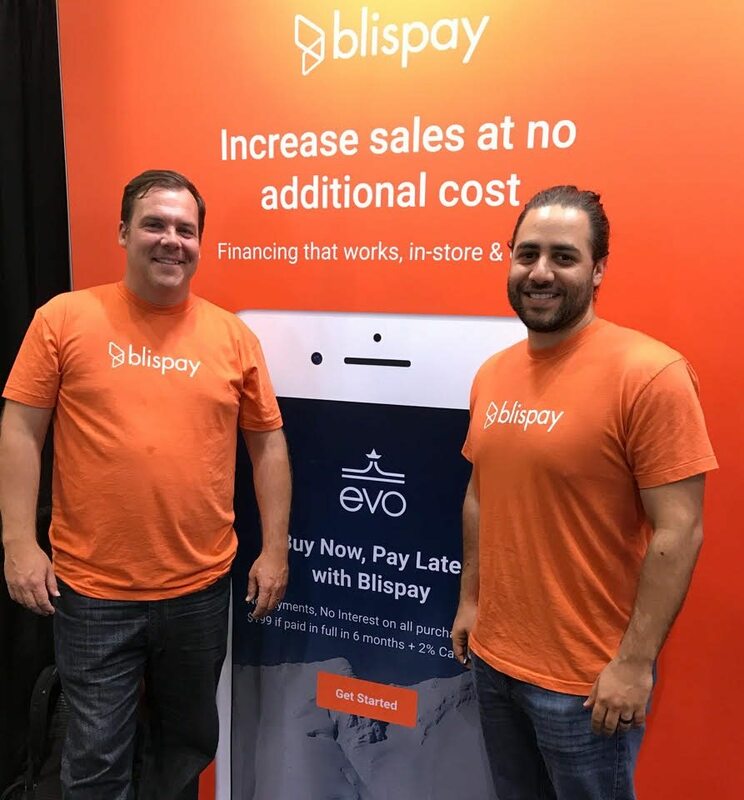 Found at the IRCE: Blispay buyer financing that businesses of any size can easily offer to customers. I saved my biggest regret for last. In my 16-plus years’ running an ecommerce business with two product-laden websites, nine employees, and a 10K sqft. warehouse, I certainly enjoyed success, but also made plenty of mistakes. My biggest was being slow to adopt better, faster, and cheaper technologies and solutions to run my websites and overall operations. I now know that a trip to the IRCE years ago would have saved me loads of time spent testing, troubleshooting, migrating, and re-migrating various business systems. At the IRCE, the platform techs and third-party service pros you need to speak with are at your disposal. They’re ready to walk you through full demos in person, address your operating concerns, and answer any and all questions that crop up. Attending the IRCE lets you directly compare a great number of platforms and management systems, explore their bells and whistles, and uncover any shortcomings, all in one place. Believe me, this is a glorious timesaver compared to struggling through demo after demo in your limited spare time. I know what it’s like to be a one, two, or ten-person shop, and to always wonder what else you should be doing to help your company grow. Part of ecommerce success is keeping up with the latest-and-greatest, and as fast as things now change, that’s probably the biggest challenge today’s online sellers face. 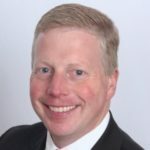 If you give the IRCE a try, I think you’ll agree that those two or three days in Chicago are a great first step in meeting this particular challenge, and many others, head-on. Did you attend the IRCE this year or in the past? Do you attend another ecommerce conference? We’d love to hear your thoughts and experiences in the comments below. FREE 15-day trial - no credit card required!